Smoking is injurious to health and so is the smoke produced from the traditional chulhas(Stoves). The traditional chulha uses wood for cooking. They not only pollute the environment but also causes various respiratory diseases and lungs infections. Tuberculosis, low birth weight, heart diseases, still birth are the other diseases that can happen due to these. Coughing is the most common among the women, pregnant women and children using traditional chulhas at homes. It is the time to make these women aware of the harmful effects of using these traditional chulhas and so we have come up with introducing SMOKELESS chulhas. These are designed in such a way that it uses less wood, cooks more efficiently and produces less smoke. We are making women aware to make these chulhas at home. Spandan Samaj Seva Samiti works are in progress. 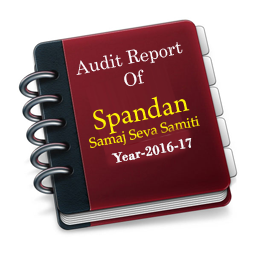 Spandan Samaj Seva Samiti annual reports of 2015-16 are available. Copyright © 2018 www.spandan4change.in | Website Developed & Maintained by : Shiva Clicksoft Pvt. Ltd.